Bronzer - the only product which makes me look half awake (erm alive) on a morning. However as the majority of the time I look like Casper's long lost relative, I need to be careful when using bronzer as I run the risk of looking like I've rolled around in mud (could be a possibility). When it comes to buying a bronzer on the high street here in the UK, I find that quite a lot of them have quite a red undertone which doesn't look natural on my skin tone. 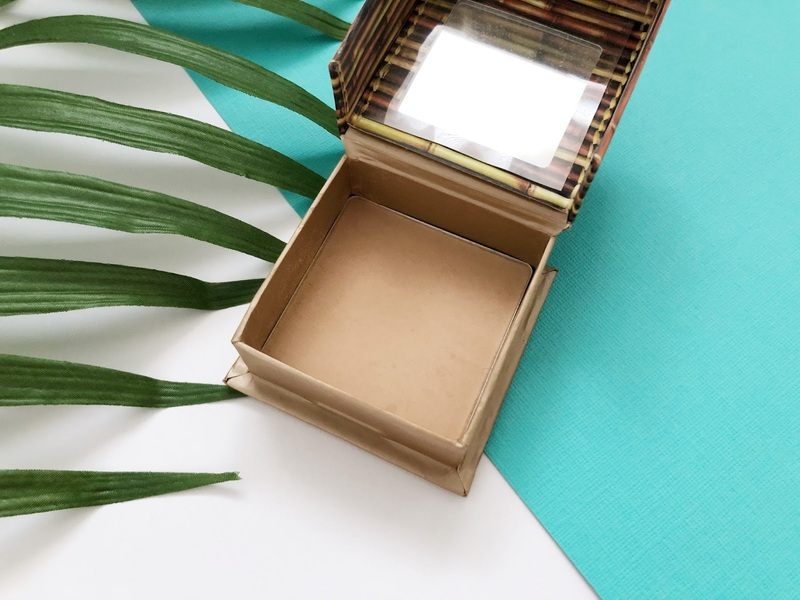 Luckily for us fair skinned girls and boys, Benefit have released a lighter version of their renowned Hoola Bronzer, aptly named Hoola Lite. 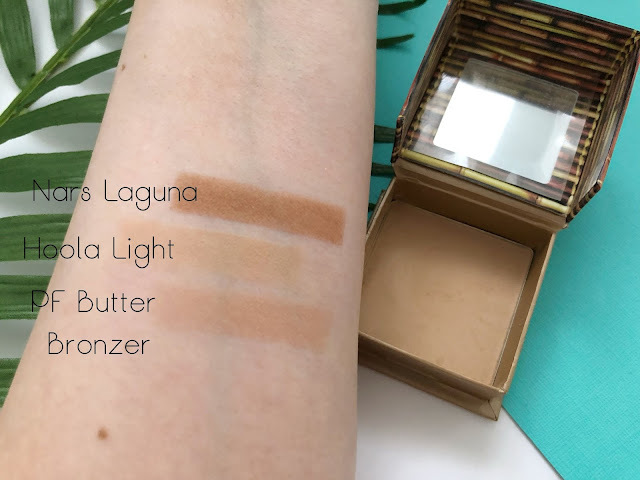 Like the original Hoola,the lite version looks way more natural on the skin and can be used to contour, but also as a wash of shadow across the lid. For reference my pale skin tone is normally about a MAC NW15 and I find that I need to use a lot of this product with a dense brush to get any show up on my skin. Unlike the Physicians Formula Butter Bronzer in light, which blatantly refuses to show up on my skin. However trust me, with Hoola Lite the extra work you put in is worth it. Also the main advantage of this is that you are never going to be heavy handed when applying. Once it's on my skin the staying power is amazing - it can even last a gym session, it's up there with my holy grail Nars Laguna bronzer for this. If you look at reviews on line, many people have stated how yellow under toned this is, personally I don't find this on my skin. Considering I've been using this constantly for a good two months, there is no dent in the product. Unlike other bronzers, I love how this is in a box, therefore any fall out you can pick up so very little goes to waste. Hands down you get value for money with this. I think once this has been used up, I'm wanting to try the Anastasia Beverley Hills bronzers as you know I am a massive ABH fan. I've provided some swatches, so you can see how this sits compared to other bronzers in my collection. I do need to state that in order for this and the Butter Bronzer to show up I have done heavy swatches of all three. Applied with a brush, you won't get this dense colour. Are you a fan of the Lite Hoola or the normal Hoola?? Also check me out with the swatch shades noted on the picture itself - finally found a replace programme to Pic Monkey to use.